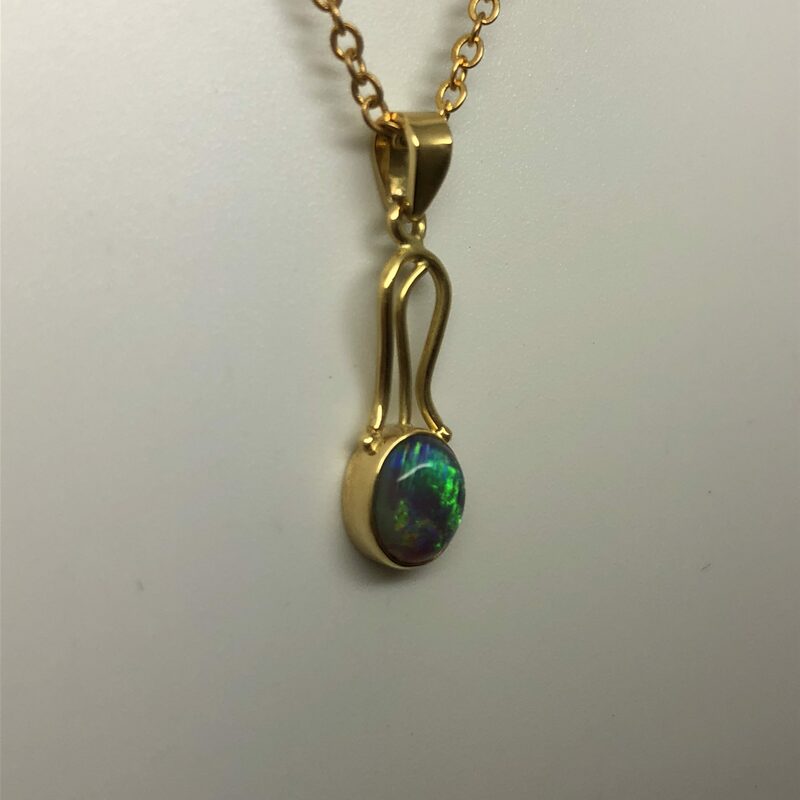 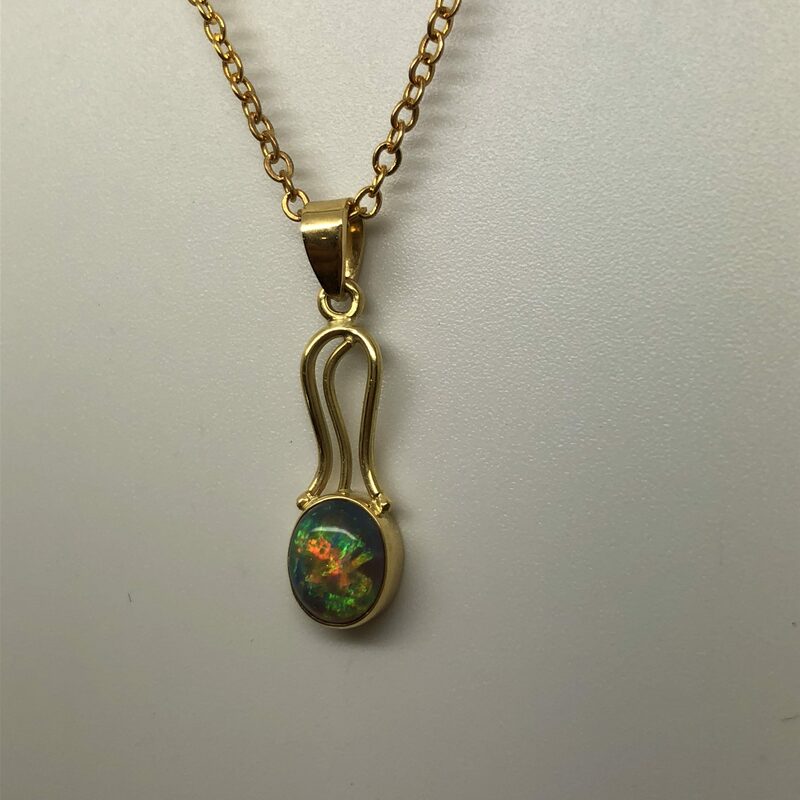 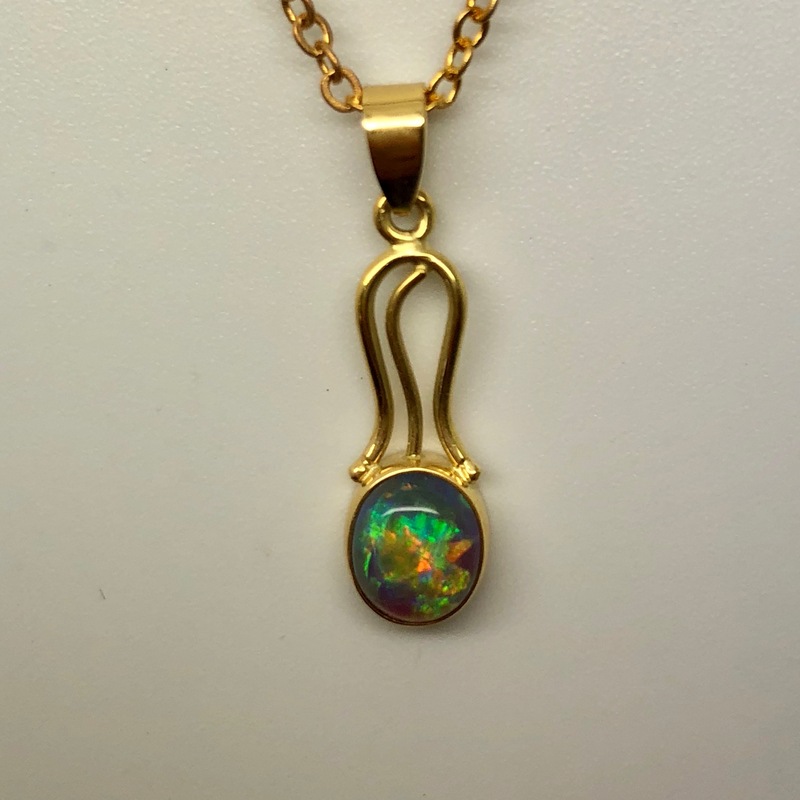 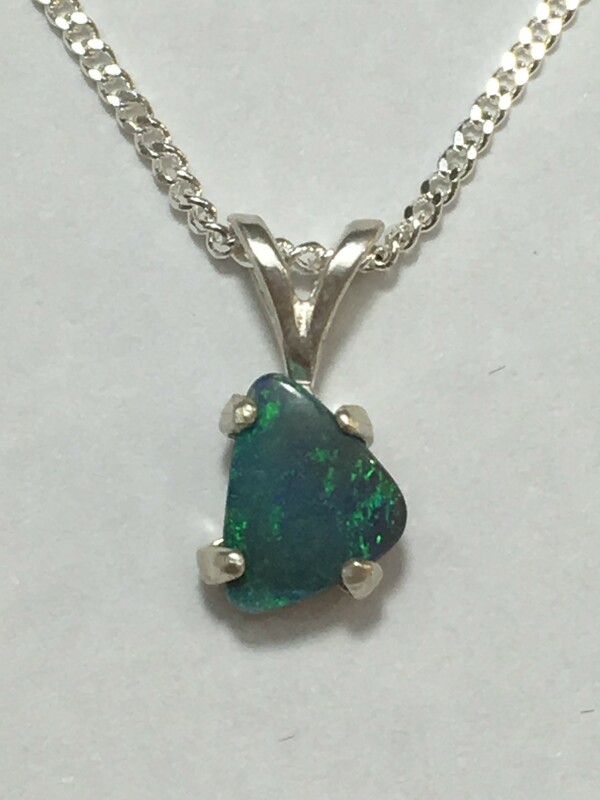 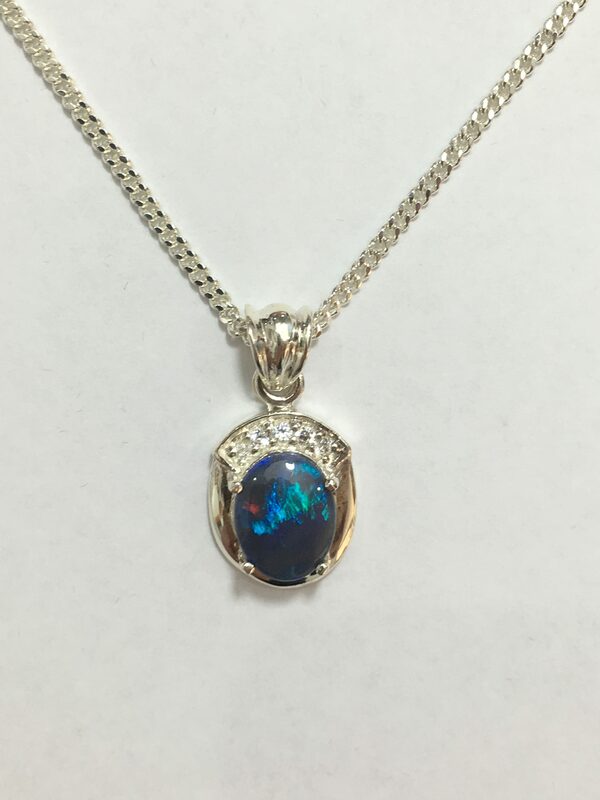 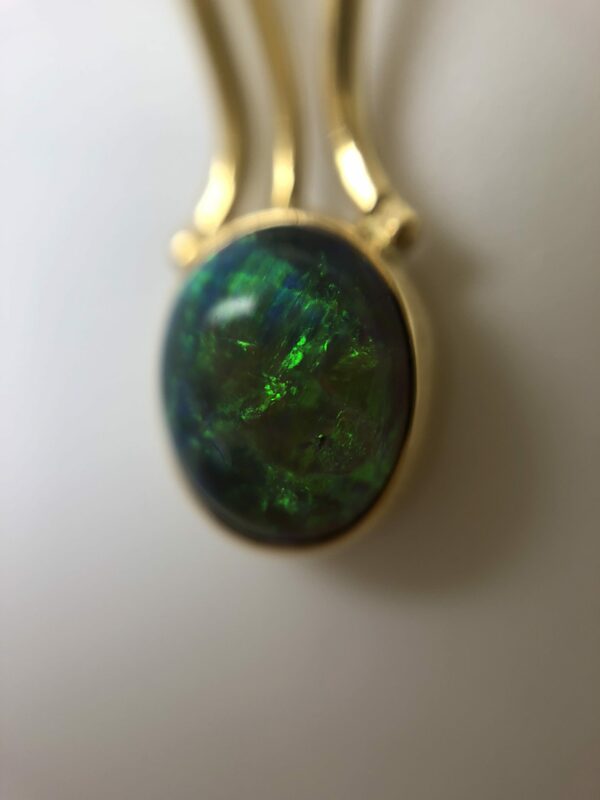 18ct Gold solid opal pendant with numerous colours such as orange, green, blue and purple. 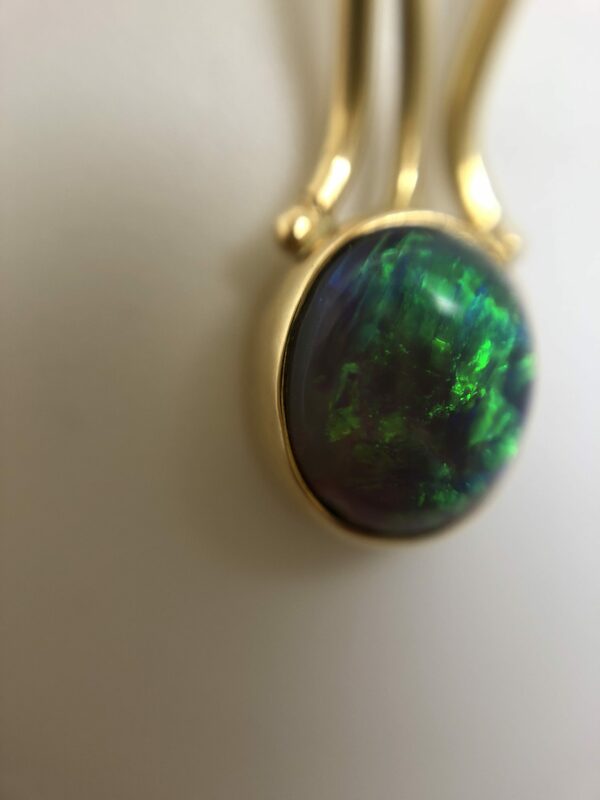 It is a stunning and delicate piece of jewellery which changes colour in different lights. 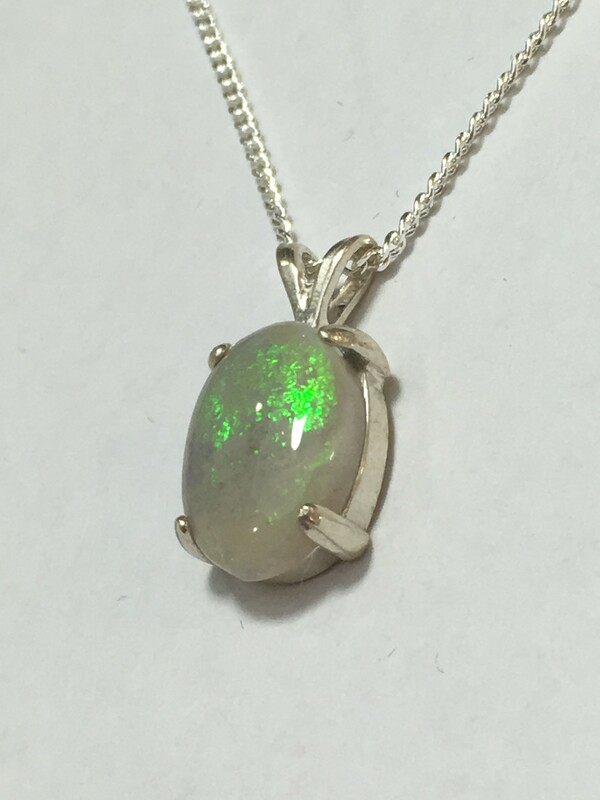 Mined in Lightning Ridge, NSW, and hand set in the Gold Coast, QLD.